The purpose of this research is to provide an understanding of the potential effects that stigmatized properties may have for potential house purchasers’ decision making, as well as how a purchasers’ willingness to pay might be impacted. The originality of this research emerges from the distinct lack of empirical evidence in the current literature base with only one such study having investigated this phenomena in the past. 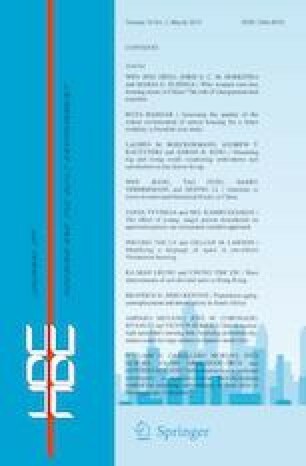 Most research that has investigated aspects of stigmatization, have focused on the analysis of transaction prices from a quantitative perspective, with limited scholarly attention paid towards the psychological factors that may effect a purchasers willingness to purchase a property, their willingness to pay for a stigmatized property, as well as understanding if real estate agents should fully disclose stigmatization to prospective buyers. The study employed a qualitative survey that was designed to answer these fundamental gaps in the literature base, through a sample of 410 individuals. The results demonstrated that while some ambivalence existed, there was general consensus that such properties would incur a reduction in price, and would impact upon the selling potential of the property, if such stigmas were fully disclosed.